A Law Student, Actor, Dancer and Queen of Instagram ! Meet Manvi Nautiyal Who Will Steal Your Heart With Her Every Performance ! Meet MANVI NAUTIYAL ,who is an actor,dancer and someone who knows how to live her life to the fullest. She is really cute,smart and talented and owing to all her attributes, she has a great fan following on Instagram. 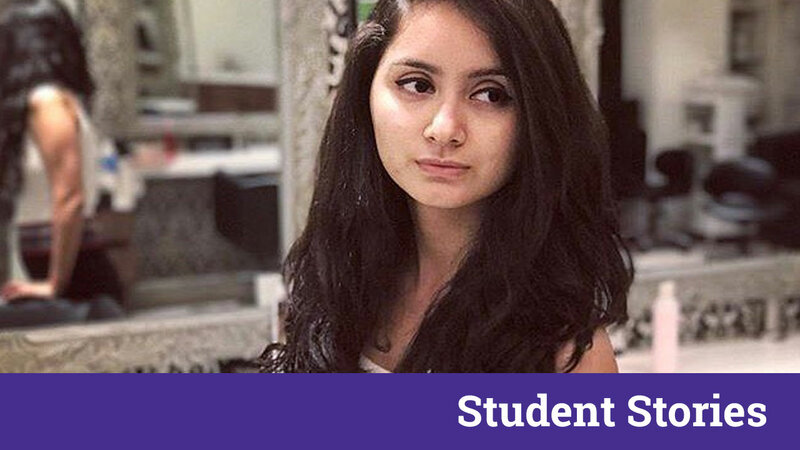 She is pursuing her degree in LAW and wants to live a happy life and believes in spreading happiness and staying bubbly and chirpy. At such a young age she has become a social celebrity and is going places with her dubsmash videos, videos on musical.ly and her cute relatable posts. She is original and effortless which makes her stand apart from other artists and celebrities out there. You should definitely follow her for some amazing Dub collaborations and popping post ideas. Lets know more about Manvi in the interview down below. Speaking Volumes With Her Acting. How did you get into making dubsmash videos ? Any inspiration for that ? Everyone was going gaga over the app at that time. I tried it too just like everyone else but never posted any video on social media as I wasn’t confident enough to do so. But then a friend of mine insisted me to upload my videos saying that I was good at it and I would go a long way if I gave it a shot. And so I did and here I am. How do you manage your social media and studies together? I make it a point to balance all the important things in my life and never take any sort of stress at any point in my life. With hard work and positive attitude everything is possible in life. Manvi loves to dance her heart out and perform. Where do you see yourself five years down the line ? Honestly, I have no idea right now. As of now, my focus is to complete my degree in law, along with polishing my skills and just being happy with life. Also read The Young Rockstar Of The Dance World Who Is Making India Proud – Ralph Mao Reaching The Zenith With His Talent ! Who inspired you to become an actor ? My social media family! Honestly, I never considered myself as an actor (I still don’t). But the response and support I got from my followers infused a great deal of confidence in me and motivated me to keep on doing what I do. My followers inspire me a lot! How and when did acting happened to you ? Acting, dancing, singing, ‘Art’ basically has been in my blood. I got that from my father. I had been a performer throughout my life but never ever had imagined myself becoming one. Until of course I posted my very first “acting” video on my Instagram which is nothing but me reciting a dialogue from “Tanu weds Manu Returns” in my own voice and style. I got a very nice response for it at that time and then dubsmash happened of course, and I never stopped. And now I never will. Any message you want to give to our readers ? I just want to say one thing that whatever you do, just stay happy in your life and always follow your heart. Never stop following your dreams and never stop having fun. From A Receptionist In a Gym to Becoming India’s Wonder Woman ! Meet Priya Sodhi- Miss. Physique 2016, Jerai & Reebok Female Athlete ! Performance Of A Lifetime By Farhan Akhtar At The Biggest Management Fest Of All Times- Xpressions 2017 !